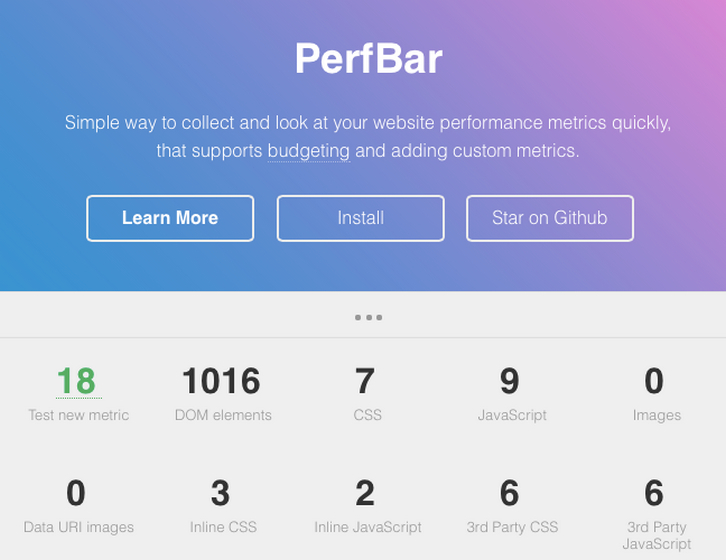 PerfBar is a simple way to collect and look at your website performance metrics quickly, that supports budgeting and adding custom metrics. PerfBar is a tool that puts dozens of metrics at the tip of your fingers with just a single script include. Once set up, PerfBar adds a collapsable bar to the bottom of your website that displays the metrics for the current session. Here’s what it looks like in action on the project’s homepage.